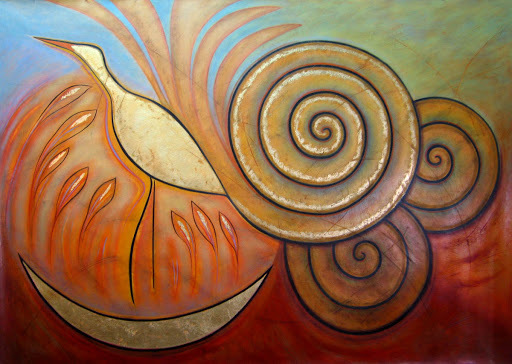 Before I visited Newgrange in Ireland, the spiral had already become a mainstay of my visual and artistic vocabulary. But seeing this symbol of renewal and regeneration inscribed into the stones by the hands of the ancients gave me a greater sense of connection with those who had come before me. 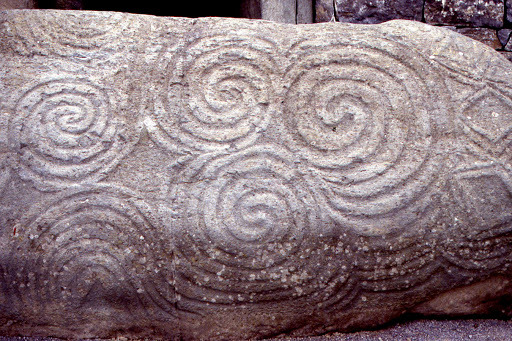 The huge horizontal entrance stone covered with intertwining spirals is regarded as one of the finest achievements of European Neolithic art. 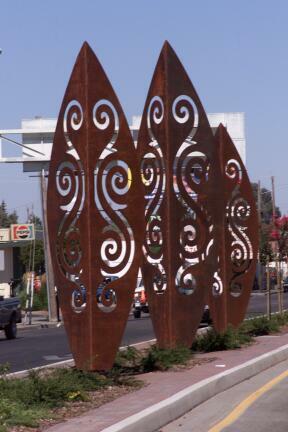 Some believe the spirals represent energy vortices within the mound. 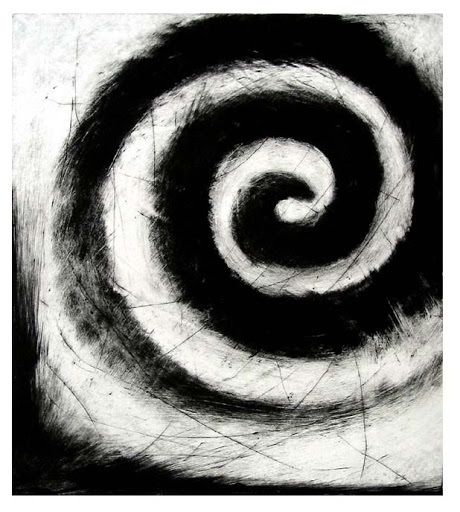 Awe-inspiring and sublime, these simple swirling lines have made their way into my art again and again – from paintings, prints, drawings and sculpture. 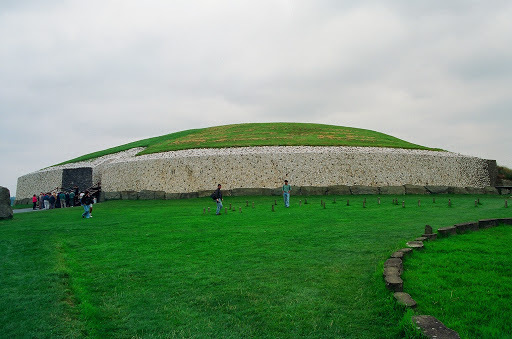 Newgrange, is a prehistoric circular mound, built by a people in touch with the movement of the heavens. The inner chamber is naturally illuminated each dawn on the Winter Solstice. Newgrange was built more than 5,000 years ago – before the Great Pyramid of Giza and Stonehenge – and is part of a complex of mounds in the Boyne River Valley. 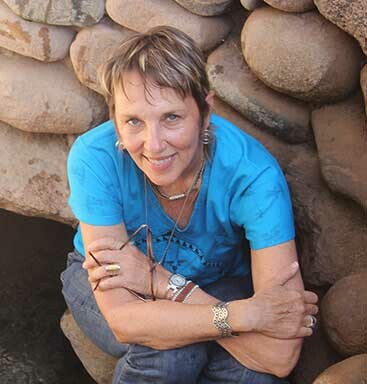 I was thrilled to enter the sacred passageway. It was dark, with a low ceiling, and I walked steadily and mindfully towards the small central chamber. There on a pedestal was a large granite vessel, no doubt used for ritual. 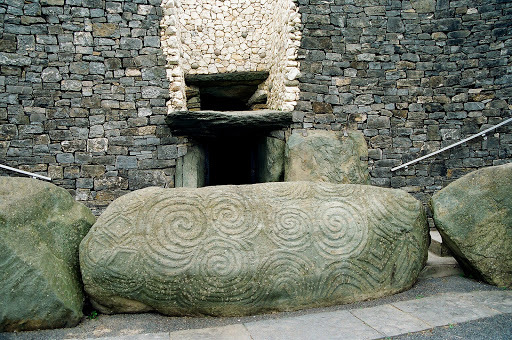 Some believe that passage mounds such as Newgrange were built to mimic the birth chamber, as sacred space for giving life. It was an incredible feeling to be in this ancient place where, no doubt, extraordinary events had occurred. For me, it was a moment of profound serenity and connection.